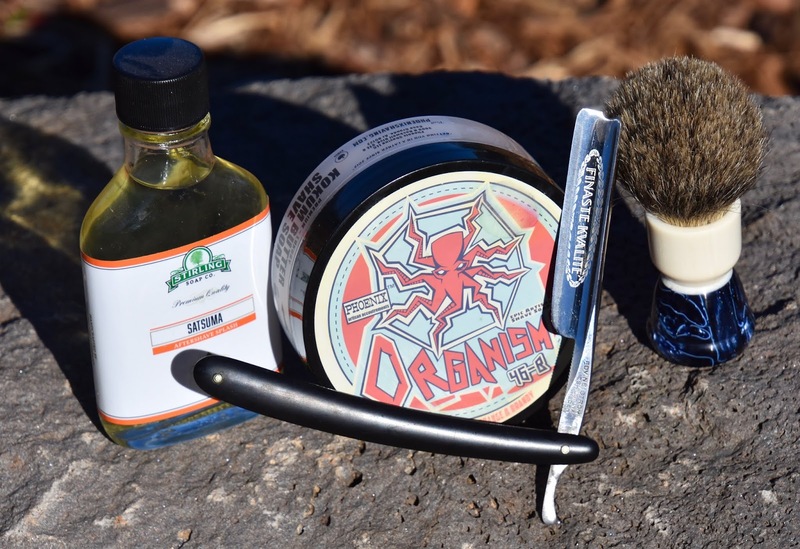 Moon and Stars badger brush, Organism 46B soap, Swedish steel straight, Stirling Satsuma aftershave. On the second pass, I told myself to be careful not to cut myself where I seem to always do it, then I did it. Arrrgghh.